LSG Awarded Grant for A+ Parents in Savannah! The Georgia Governor's Office for Children and Families recently awarded Lutheran Services of Georgia a generous grant to prevent child abuse and neglect. Thanks to this grant, LSG will expand its parenting curriculum offered to parents participating in Savannah's A+ Parents program. A+ Parents is one program component of LSG's Family Intervention Services. According to the Administration of Children and Families Child Maltreatment 2012 report, 77 children died as a result of child abuse in Georgia and 1,640 children died due to child maltreatment nationwide. LSG's A+ Parents program aims to provide parent education, support, and parent training for families to reduce the risk of child abuse and neglect. LSG will implement the Triple P - Positive Parenting Program in the Savannah area. Currently used in 25 countries, Triple P gives parents simple and practical strategies to help them confidently manage their children's behavior, prevent problems developing, and build strong, healthy family relationships. LSG will adopt a Level 3 Triple P curriculum to provide moderate direct intervention for parents of children with mild to moderate behavioral difficulties. This curriculum will enhance the level of LSG's services provided to families with older children in need of addressing specific behavioral issues. This service will target parents with children ages 11 to 16. Primary services will be offered in Bryan County, with secondary service areas in Chatham, Effingham, and Liberty counties. A substantial number of families in this area with children ages 6 through 16 are experiencing crisis due to poverty, unemployment, inadequate housing, teen pregnancy, disabilities, substance abuse, commercial sexual exploitation of children, and more. Through the Triple P curriculum, LSG will serve 50 families, 80% of which are expected to be single mothers. The other 20% would be single fathers, two parent households, or relative/fictive kin caregivers. LSG's Family Intervention Services, including the A+ Parents Program, strengthens families and reduces the risk of maltreatment of children. FIS also enhances the capacity of families and caregivers to provide for their children's needs. Click here to learn more about Family Intervention Services and the A+ Parents Program. Lutheran Services of Georgia will provide SafeCare for adult drug court clients who are also parents to children ages 5 and under. SafeCare is an evidence-based home visitation program that has been shown to reduce child maltreatment among families with a history for maltreatment or with risk factors for maltreatment. Read the story below, reprinted with permission from the National Safecare Training and Research Institute. SafeCare is usually delivered to clients in child welfare settings with suspected or substantiated cased of maltreatment. But thanks to a 5-year grant from the Administration on Children and Families, SafeCare will be part of a package of treatments delivered to clients in Adult Drug Courts. Adult drug courts are judicially supervised treatment programs for people convicted of drug related crimes who are offered treatment instead of jail. Drug courts have an excellent track record of helping clients manage their addiction, but usually have few resources to address family issues. Dr. Daniel Whitaker of Georgia State University and Dr. Wendy Guastaferro of John Jay College teamed with several agencies to receive a five year Regional Partnership Grant from ACF. The grant will allow delivery of a new package of services focused on enhancing family functioning. The services prov ided by the grant include exposure based trauma counseling for drug court clients, child trauma using trauma-focused cognitive behavior therapy, and parenting services, using the SafeCare and Nurturing Parenting models. DeKalb County Drug Court will provide exposure based trauma treatment to drug court clients using the COPE model. Lutheran Services of Georgia will provide parenting services: SafeCare for parents with children five and under and the Nurturing model for parents of children 6 and older. The Georgia Center on Child Advocacy, will provide trauma-focused cognitive behavioral treatment to children of drug court clients. Services began in October 2013 and feedback from parents has been very positive. 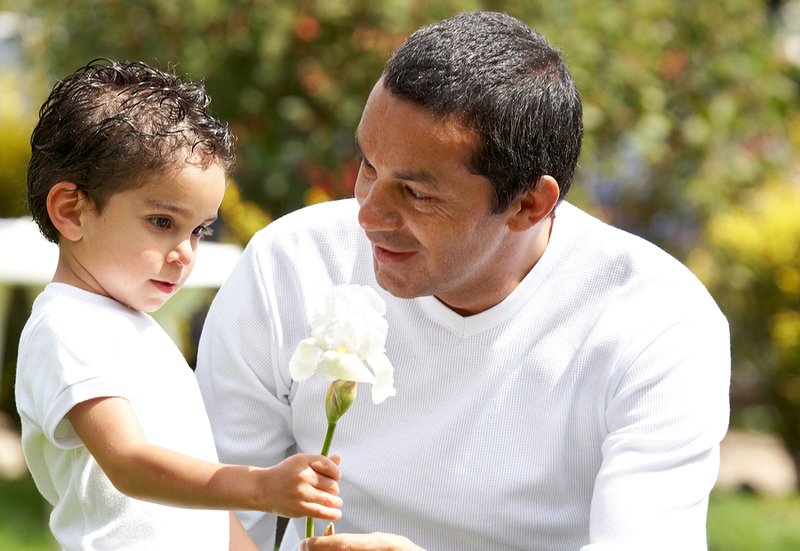 Several clients have reported they have begun to rebuild relationships with their children. GSU and John Jay will also be conducting an evaluation through annual interviews, creating video-tapes of parent-child interactions, and by examining administrative data on child welfare reports and criminal recidivism. The goal of the evaluation is to determine whether the new services are helping families of drug court clients relative to families at a nearby control drug court. Along with SafeCare, LSG offers a variety of services and programs to strengthen family relationships and build or maintain strong, healthy family units. Click here to learn more about Family Intervention Services. Congratulations to LSG’s Family Intervention Services! The FIS department in Atlanta is part of a team that has received a sizable grant from the Administration for Children and Families to provide parenting and trauma treatment for participants in the DeKalb County Drug Court and their children over the next five years. Georgia State University Research Foundation organized the grant proposal and coordinated the agencies involved in the project, selecting LSG’s Family Intervention Services from among other parenting programs—an honor for the newly created FIS department in Atlanta. As a part of this collaborating team that includes Georgia Department of Family and Children’s Services and the Georgia Center on Child Advocacy, LSG will offer parenting education courses to the participants. This project will benefit the children of the participants in the DeKalb County Drug Court, some of whom have not received any parenting education. LSG is delighted to expand the agency’s services to support a group of children and their parents who are in need of the resources and programming that LSG offers. LSG is also excited about the opportunity to hire another case manager to provide the services for the project. For the Fiscal Year 2011-2012, Lutheran Services of Georgia was awarded a substantial amount from Promoting Safe and Stable Families (PSSF). The grant award was far greater than what was gifted in FY 2010-2011. Last year, LSG was awarded a little over $90,000 and this year Family Intervention Services (FIS) was awarded more than $270,000. Family Intervention Services is one of LSG’s newest programs and is an integral part of the Continuum of Care Model that provides services throughout a person’s lifetime. LSG is proud to be a continuing PSSF grant recipient as the primary goals of PSSF are to prevent the unnecessary separation of children from their families, improve the quality of care and services to children and their families, and ensure permanency for children. Family Intervention Services offers a variety of services to families that are consistent with the mission of the PSSF grant. The two primary programs that FIS offers services through are Supervised Family Visitation program and the A+ Parents program. The Supervised Family Visitation program provides quality supervised family visitation between children and parents, relatives, care givers, and/or siblings. Visitation is provided in a home-like, nonthreatening, and neutral environment for meaningful contact between children and the people in their lives. This program focuses on reunification efforts and maintaining family bonds. Similarly, the A+ Parents program works diligently to improve both parents’, caregivers’, and children’s self esteem and skills with use of the Nurturing Parenting Program and SafeCare curriculum in a classroom or home setting. The program does this through eight 2.5 hour classes. The staff in Family Intervention Services works diligently on seeing the results of these programs and continues to do a great job at carrying out the mission of PSSF which is why we are elated with the award gifted this year. For more information on Family Intervention Services call 404-591-7051 or send an email of inquiry to lsg@lsga.org. I am so thankful that we got to meet you and the wonderful people at Lutheran Services of Georgia. I must say that after seeing many counselors through our very troubling divorce, I was less than impressed and did not expect very much to come out of seeing anyone else. This was due to the fact that no one was willing to voice their opinions or truly get involved. I am so happy that you and your staff took the time and effort to get to know us and our situation and actually get involved in an effort to do what was best for our children. Thank you so much from my children and my self for all the time and effort that you put into our case. If there is anything that I can do to help you guys out in the future in the form of donating time or services please let me know. LSG congratulates FIS' Deborah Battle on 10 years with the agency, and looks forward to many more! When Deborah Battle obtained her Bachelor’s degree in Sociology, she was unsure of the direction she would go in so she stayed at her alma mater working in the Financial Aid Office immediately after college. Unbeknownst to Deborah, her best friend submitted her resume to NYC’s Child Welfare Administration where she worked for five short months. Unhappy with the idea of removing children from their homes, Deborah decided to go work for Little Flower Children’s Services where she quickly worked her way up to a supervising position. During her eight years at Little Flower Children’s Services, Deborah felt like she was doing more of helping families rather than disrupting them. This fulfillment made it hard for Deborah to depart when her family decided to move to Georgia. While working for Department of Family and Children Services in the Foster Care division, Deborah met Kathy Sullivan who was the Lutheran Services of Georgia (LSG) Foster Care Supervisor at the time. Sullivan took note of Deborah’s superior case management skills and hired her on October 1, 2001. Foster Care has grown tremendously since Deborah started in 2001. The staff was much smaller, there were only three case managers and a supervisor and there were no satellite offices. In the ten years that Deborah has been with LSG she has served as a case manager, lead case manager, and recruiter, and has done agency intake as well as home study writing and more recently a trainer. Wearing many hats has been something that Deborah has come to appreciate, citing it as a way for her to learn so much and a way to never get bored here at LSG. When asked what her plans with LSG were for the next decade, she replied “I’d like to continue to do training and working with FIS. I enjoy what I do, but eventually I’d like to be out of the ‘field’ altogether. I’m getting to old for the all of the driving.” She also believes that LSG is a Blessed agency and believes in the mission. She also added, “I am comfortable here; I love the people that I work with too. Sometimes I wonder if I am missing out on something when others leave, but then when I get to the see a child happy, healthy and progressing after they have been with and LSG home, the reward is immeasurable”. Deborah has been an exceptional asset to Lutheran Services of Georgia and we congratulate her on 10 years of service with the agency and wish her many more pleasant years to come.